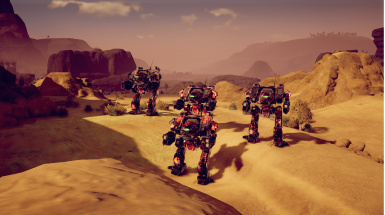 Linebacker 65t Clan OmniMech, Imported from MWO. 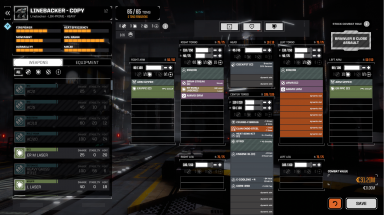 The Linebacker is a ModTek mod, so you will need BTML and ModTek. The Linebacker comes in two versions, one of which requires an additional mod to work. The Linebacker comes in a vanilla version for the vanilla game and comes in a MechEngineer version for those players who are using MechEngineer (if you're not sure which one you're using, check the photos above to see what a MechEngineer MechBay looks like, if your MechBay looks different then you want the vanilla mod).